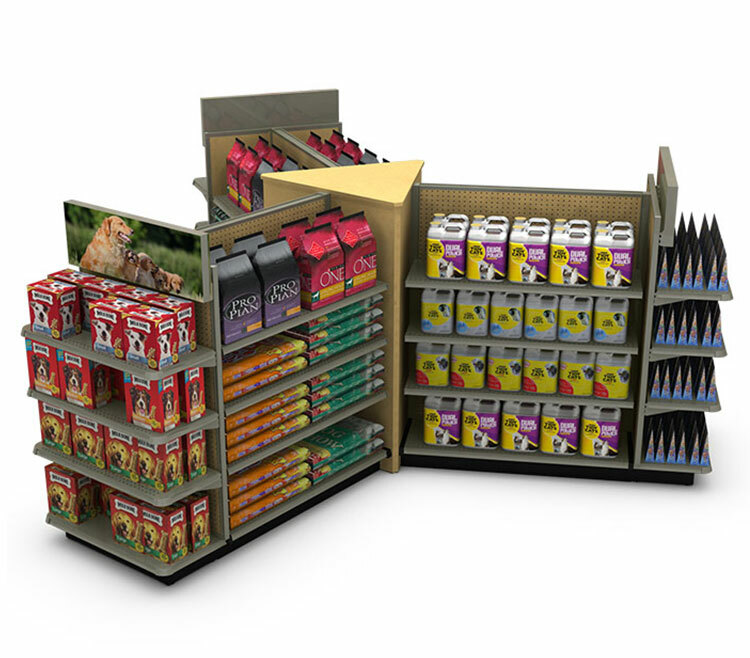 Create a visually appealing center store display with this Y Gondola configuration. Unit is made of three Island sections attached to a custom wood triangle. Sections can be fitted with all standard accessories and shelves.